Yesterday the Spanish Judge Baltasar Garzón brought a case to the European Court of Human Rights in Strasbourg challenging the lawfulness of his criminal prosecution in Spain for having opened an investigation into serious crimes committed during the Franco era, following a request by families and representatives of victims of the regime,. The case, presented by the International Center for the Legal Protection of Human Rights (Interights) argues that this prosecution of a judge for his interpretations of the law is a violation of several of Judge Garzon’s rights under the European Convention on Human Rights, and that it infringes the cardinal principle of judicial independence that underpins human rights protection and the rule of law. 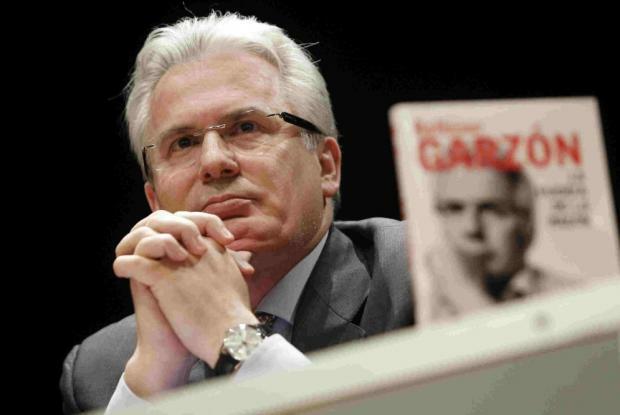 Read Interights’ press release (English and Spanish) and an extensive background document (English / Spanish) which gives details about the European Court of Human Rights case; the case history, including Judge Garzón’s judicial decisions, the investigation of Judge Garzón, his suspension as a result of the case and the trial phase of the criminal case against him; Franco era crimes: amnesty and investigation; the law of ‘prevaricación’ (malfeasance) in Spain ; the international context and Judge Garzón’s judicial career to date. More information from Interights here. Coverage in the El País and Público.